205 young people who have completed their cancer treatment will participate on December 12th at the First National Seminar on Long-Term Effects of Cancer Treatment in Young Cancer Survivors organized by the Little People Association Romania in Cluj-Napoca. The event, a first of its kind in Romania, will take place from 09.00 – 11.00 at the Grand Hotel Napoca, Cluj-Napoca, in the Forum Hall, on December 12th. The seminar addresses young people who have gone through the cancer treatment experience in their childhood or adolescence. Specialists in pediatric oncology confirmed their presence at this event, where they will be answering questions from the young cancer survivors. “Tumors may disappear, but according to a survey from the Little People Association with young cancer survivors aged 17-31 as respondents, almost 20% of them suffer from chronic pain, have trouble learning and concentrating, while nearly 60% complain of emotional and mental exhaustion, and some of them even depression. Young people don’t have adequate information available to them on how to access social benefits, 19% of them aged over 18 are not working and not studying, 16% report discrimination at work or school. While data from all over the EU clearly shows that this group is at a high risk of developing long-term effects of cancer treatment or secondary cancers, there is no standardized long-term tracking and caring system for young survivors. Many of them go for regular checkups at the pediatrician, but most of them are lost in the whole medical process for young patients. “said Katie Rizvi, founder of the Little People Romania. The attendees are registered members of the Temerarii Club – the Romanian Community of Young Cancer Survivors® founded by the Little People Association Romania in 2006. The young survivors will also be delighted to participate for the eighth consecutive year at the Temerarii Christmas Gala. The theme of this year’s edition is Ice Ball. They will celebrate their victory over cancer, in Cluj-Napoca, the city where this community, the largest of its kind in Europe, was founded. The Ice Ball – Temerarii Christmas Gala – will take place on December 12th, 2015 in the Grand Hotel Napoca, Cluj-Napoca, starting at 19:30. Media representatives are invited to raise a glass of champagne in honor of the young cancer survivors’ victory, at the event’s reception. What Temerarii means today is more than 400 young people aged 14-30 years from over 123 localities in Romania who, from the moment they won the fight against cancer, have become true heroes, writing and rewriting daily a success story, being a true inspiration for those who now wage the same battle. 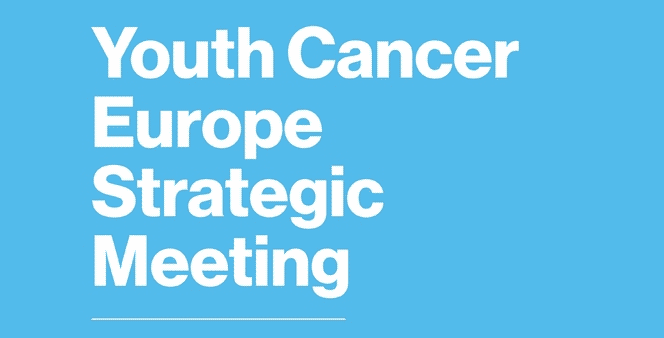 The Temerarii community is the founder of Youth Cancer Europe network – a European communication and initiative platform for the young people diagnosed with cancer, developed in 2014, with partners from 15 European countries.